Batik is a cultural heritage of Indonesia that has a high value and fusion of art, loaded with philosophical meanings and symbols full of meaning that shows the way people think society. Batik is a craft that has become part of Indonesian culture (especially Java) since the first. Batik tradition was originally a hereditary tradition, so that the motif of Batik can be recognized and become a pattern or motif of a certain family or region. Motives can also show social status in society, because based on the period of its development, batik Indonesia developed in Majapahit Kingdom era, which incidentally only used by the royal family. Here are some facts about Indonesian Batik that you can learn. The word “Batik” comes from a combination of two words in Javanese. The first word is “amba”, meaning writing. Whereas the second word is “point” meaning point. Thus, when the two words are combined there will be the meaning of writing beautiful dots on the cloth. Therefore, batik cloth motif was very charming. Batik is not only popular in the country. Batik popularity has been up to foreign countries. It is proved by many foreign figures who wear batik such as Nelson Mandela, Kate Middleton, and Heidi Klum. In addition, Diane von Furstenberg, Burberry Prorsum, Nicolle Miller, and Dries van Noten are some of the world’s most famous designers who used batik for their designs. Apparently, the United States is the country’s most importers of Indonesian batik. Followed by Germany, Japan, and South Korea are also the export destination of batik. So that batik became one of the country’s foreign exchange contributors with a large nominal. Batik tulis has the most expensive price. Because the process of making is manual. It takes a longer time. While batik cap using iron that has designed, then dipped into the “malam”. While batik printing into batik pattern is the cheapest, because it uses a screen printing technique. Javanese ladies formerly used batik skills as a livelihood. Well, this batik clothing was not worn carelessly by various circles. Only certain circles are allowed to wear batik. This also applies to certain motives that may only be used by certain people and at certain events as well. In addition, the motifs, patterns, and colors of batik in each place have its own trademark. This is due to the flora and fauna contained in each region is different. The second President of the Republic of Indonesia, Soeharto, was the first figure to introduce batik to the international realm since the mid-80s. This is done by making batik as a souvenir for the guests of the state. In addition, when Indonesia hosted the APEC II (Asia-Pacific Economic Cooperation) Summit held in 1994 in Bogor, 17 heads of state and heads of government from APEC countries wear batik, specially made with a style symbolizing the state symbol each added with a touch of ethnic Javanese. Its great potential and uniqueness cause Batik hunted and claimed by other countries. One of them is Malaysia. This reason makes Indonesia finally register Batik as Indonesian cultural heritage. Hopefully, with this effort Batik can be patented as a culture of indigenous cultural heritage of Indonesia. In Javanese culture, batik should not be used at all times. For example parang motif is forbidden for marriage. Each motive has meaning and placement in different usage. Javanese women in the past worked on batik making throughout his life, so the work of batik is considered as the exclusive profession of perempaun. Every October 2, all Indonesian people celebrate National Batik Day. This celebration was held to commemorate the batik as Masterpieces of the Oral and Intangible Heritage of Humanity by UNESCO. Usually at this celebration, all elements of the service profession and public service are required to wear Batik on 2 October. Designers Indonesia designers began to introduce batik against overseas. the beauty of his style is introduced through various events one of them miss universe. Indonesia’s leading batik designer is Annie Avantie. To make a cloth requires 12 stages, namely Nyungging, Njaplak, Nglowong, Ngiseni, Nyolet, Mopok, Ngelir, Nglorod, Ngrentesi, Nyumri, Nyoja, Nglorod. A piece of batik cloth measuring 2.5 m, it takes up to three months. In addition to the process and manufacture that takes a long time, batik value will increase when the batik is able to produce batik with high difficulty level. On 2 October 2009 UNESCO designated Batik as a Humanitarian Heritage for Oral and Nonbendawi Culture or Masterpieces of the Oral and Intangible Heritage of Humanity. The determination by UNESCO on the uniqueness of Batik also covers the whole technique of batik, technology, and development of related motives and cultures. Every region in Indonesia has various famous Batik festivals, such as: Batik Nusantara Festival, Solo Batik Carnival, Batik Fashion Solo, Batik Festival Pekalongan, Semarang Batik Festival, Batik Festival of East Java, West Java Batik Festival, Contemporary Batik Festival, Festival Batik Nasional, Pekan Batik Nasional, International Batik Week, and Indonesia World Batik Summit. Batik technique has been known since thousands of years ago. There is no clear historical information about the origin of batik. Some suspect this technique originated from the Sumerians, then developed in Java after being brought by Indian traders. Currently batik can be found in many countries such as Indonesia, Malaysia, Thailand, India, Sri Lanka, and Iran. In addition to Asia, batik is also very popular in some countries on the African Continent. However, batik is very famous in the world is batik coming from Indonesia, especially from Java. 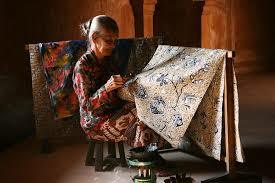 Indonesia takes many years to get the recognition of Batik from the international world. It took 3 (three) years for this country to get the recognition of batik culture as Indonesian culture after 6 (six) representative countries of UNESCO conducted assessment and verification. After reading those facts of Indonesian Batik, you must be proud to be Indonesian. It means that Indonesia has more cultural heritage that have been patented by UNESCO. It is a pride for us as Indonesians. Don’t forget to add the Batik in your daily fashion.